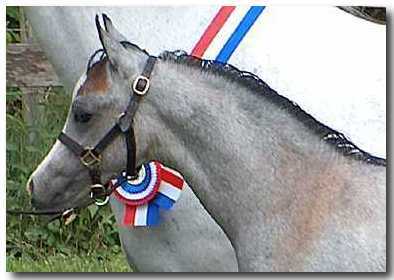 Mt Dragon Pony Acres has been producing outstanding Welsh Ponies for over thirty years. Established in 1975, the creation of this breeding program has been a labor of love. We have a long history as an influential breeder of Welsh Ponies in the USA and beyond. Our ponies have proven themselves on all levels. They have gone to homes throughout North American and as far away as Australia. In the interest of playing more and working less we have pared our Welsh Pony program down to amazing! We plan to go “fishin” and have adventures. We also plan to continue to love and breed a select few ponies. Our new farm stallion, RosMel Midnight Tango’s first foals will arrive in 2019. Most will be foaled in new locations for our customers who purchased mares through the Oct auction. We however will have two foals from Tango out of the most lovely mares, Kenwood Princess Royal and Hilin Nerys. We are also expecting Rosmel Rose Of Texas’ first foal sired by *Cadlan Valley Gold Coin. The Evans ponies represent many years of successful breeding and importation to create our quintessential perfect Section B Welsh Riding Pony. The Evans Prefix has become known for beautiful well-bred ponies with excellent pedigrees and trainable minds. Our ponies have done well as the foundation of breeding programs throughout the USA and Canada. They have won at Pony Finals and have been exported to as far away as Australia. Equally as important, they are the ultimate family pony and child's mount bringing joy to their owners large and small. In 2015 we sold over thirty head our Welsh Ponies through Sporthorseauctions.com Many of these ponies have gone on to form the foundation of breeding programs, become show ponies and family riding ponies. Fourteen ponies sold through this years sale ending Oct 4th. It has been our great joy and privilege to be involved with the Welsh Ponies for over thirty years. Through the years, our ponies have brought us a lot of enjoyment. Through them and their success we have met some of the best people, many who have become friends. Click here to see the current Pony List. Stay at the Historically Charming Evans Farm! We are now offering the extraordinary opportunity to experience the authentic pleasure this home and piece of property represent. Located on eighty beautiful acres two miles from the destination town of Joseph, Oregon, the three bedroom home is available as a Vacation Rental. We have added two luxurious Glamping tents. The Evans Farm is also offered as a Wallowa County Wedding Venue. Please click here to learn more about the Vacation Rental and here to visit the Wedding Venue website. . Unique farm located in NE Oregon. Live the Country Life. Read More . . . Looking for a specific pony, pedigree, color, size? Use our handy Search Tool above to find what you are looking for.